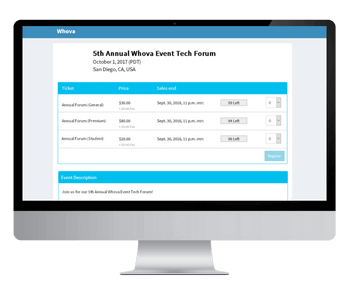 The Whova registration solution is for free for free events! For paying events, you can choose to pass on just a little fee to registrants and pay nothing. 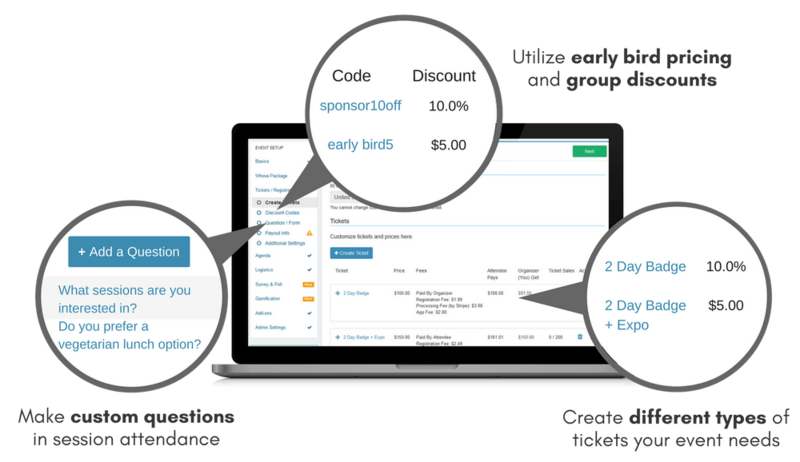 Conveniently customize a ticketing web page and embeddable widgets, then simply link them to your website. Track real-time ticket sales and registrants. We accept credit and debit cards with PCI-compliant secure payment processor, Stripe.